Media Decor is a designer & manufacturer of custom solutions for concealing TV’s and a fantastic option for doing so in a non-disruptive way. 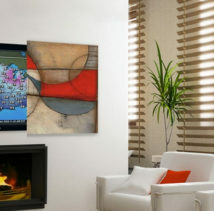 With Media Decor designs, you wouldn’t even know a TV was in the room without being told! Florida-based Media Decor, LLC was founded in 2003 to fulfill elegant designer-level solutions for today’s home entertainment installations. Its team of expert and inspired technicians, interior designers and structural craftsmen collaborate to create and deliver the world’s most compelling, beautiful and customized entertainment environments. 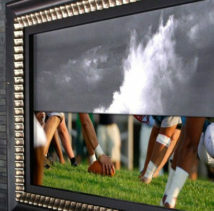 Media Décor’s products were designed from the ground up to fill a rising demand to discretely hide large flat screen displays when they are turned off or not being viewed. Designers, architects, and A/V Custom Installers have been looking for solutions to conceal large TV screens that dominate the wall space in most homes and conference rooms. Media Décor provides custom solutions that not only solves the problem, but contribute to the room decor, and ultimately please the client.